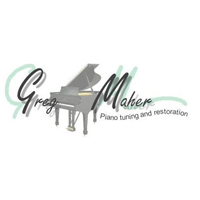 Greg Maher Piano Tuning & Restoration in CT is one of the best musical entertainers that you can find in Connecticut. He has become a very well-known pianist and jazz vocalist that serves every occasion. Your kids can absolutely have a wonderful time on their special day because he can absolutely turn an ordinary celebration into an unforgettable musical event. Schedule an appointment with Greg Maher Piano Tuning & Restoration in CT because he definitely knows what to do at your kid's birthday party. He is definitely the best musical entertainer in town.